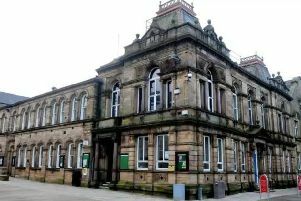 Daily car parking charges in Burnley are set to be frozen for the third year running as councilors consider proposed fees and charges for services next year. Garden waste collection subscriptions are also set to remain unchanged. The proposals for fees and charges for council services next year are part of the wider process for setting the council’s overall budget for 2019/20. The freeze on car parking charges applies to daily off-street pay and display tariffs; long-term contract parking charges will increase by 3%. Councillor Sue Graham, executive member, said: “Once again the council is setting its next budget in the light of an ever-more challenging financial situation and ever-decreasing Government support while, at the same time, delivering quality services to residents who are themselves facing financial challenges. “We’ve done what we can to avoid increasing charges if possible and, for the third year running, we’ve frozen car parking prices. That will help support the wider work we’re doing to attract more people and investment into Burnley town centre. The council’s Executive, which meets on Wednesday November 28th, is being asked to recommend that the full council approves a report outlining the full range of proposed fees and charges.